In the majority of jurisdictions in Florida, courts have implemented a general standing temporary order that is applied to ongoing divorce cases. For example, in Orange County and Osceola County the following Standing Temporary Administrative Order No. 2004-05-03 is used. Certainly divorce is a highly emotional and complicated time in any person’s life. The goal of a standing temporary order is to enforce some basic family stability to help facilitate the divorce process. Florida courts believe that it is in the best interests of a child to have regular contact with both parents. This is true after a divorce and also while divorce proceedings are ongoing. Unless there is a specific court to the contrary, parental responsibility should be shared during the divorce process. Of course, in reality true 50-50 parenting is often impossible. Therefore, Florida courts have noted that if one parent is taking the lead role during the divorce (for example, if he or she is living with the child) that parent has a duty to work proactively to keep the other parent involved. As a general rule, parties to a divorce are not allowed to move a child outside of their current school district without the voluntary consent of the other parent. Though, if good cause can be presented, a court can override this general order and allow a child to be moved to a new location. Until a divorce is resolved, both parties are prohibited from disposing, damaging, hiding or dissipating the value of any of their marital assets. This includes disputed assets. All spending that occurs after separation, but before a divorce is finalized, must be agreed upon, or justified as reasonable and necessary. Finally, a standing temporary order will also prohibit either party to the divorce from destroying or hiding relevant documents and records. This includes everything from records of income and debt to other key family-related documents. Essentially, the purpose of this provision is to keep parties from concealing evidence that may be relevant in the divorce proceedings. What Remedies are Available in Case of a Violation? The penalty for violating a standing temporary order will vary widely depending on the specific nature of the offense. Indeed, Florida courts have considerable discretion to determine an appropriate remedy. In many cases, particularly where an alleged disposition of assets has occurred, a court may award financial compensation to the victimized party. In other cases, such as those involving children, emergency legal action may need to be taken to protect a parent’s rights. 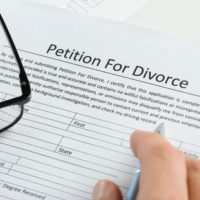 Ultimately, if your ex is violating a standing for order in any manner, it is imperative that you speak to an experienced divorce attorney immediately. Do You Need Divorce Assistance in Central Florida? At the Law Offices of Steve W. Marsee, we have the skills and experience necessary to help protect your legal rights and financial interests. For the immediate personalized attention that your divorce case deserves, please reach out to our firm today by calling 407-521-7171. We are based in Orlando and serve families and individuals throughout the region, including in Orange County, Polk County, Brevard County and Lake County.